Another stop on our Amtrak route from San Diego to Los Angeles was in San Clemente. 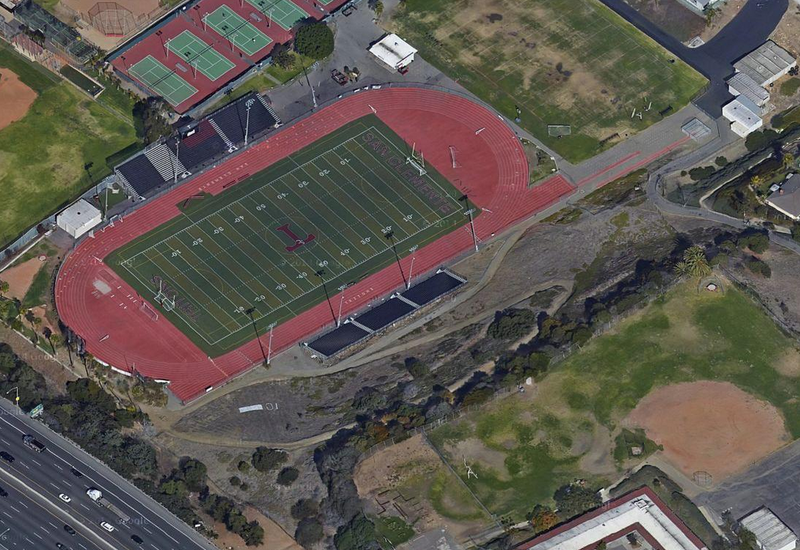 And like the rest of the schools down the line, San Clemente High School also has a nice red track. 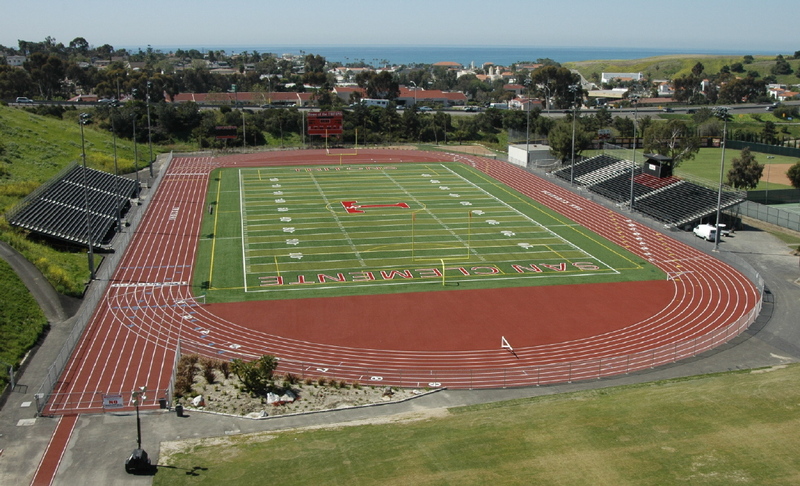 The Tritons‘ home facility also has nine lanes, and field events are in various locations. Sandpits for the horizontal jumps are in the southwest D-zone, while the high jump is in the opposite end. You will find two pole vault runways beyond the extended main straightaway. There are two shot put sectors just outside the track to the west. And finally, there are two discus cages in the field to the southeast. That doesn’t seem too bad, until you realize that the field is actually up on top of a big hill, so it’s some serious climbing for the discus throwers! You can get a better look at the hill with the bird’s eye view on Bing Maps when you rotate it. Even so, it’s still a pretty nice facility. SCHS will host six meets here this season.